What stops operators and suppliers from collaborating effectively? So how can you collaborate more efficiently? How do you determine that you collaborate effectively? Collaboration is a buzzword in the UK oil and gas industry: It is not only seen as the cure-all for many of the sector’s problems, but it is also now the law under the Energy Act 2016. Despite its stated importance, collaboration is still not the norm between operators and suppliers. Further, there is little research and practical insight on how to collaborate effectively in an oil and gas context. Imagine an oil company that owns a large oil field in the UK part of the North Sea—the UK Continental Shelf (UKCS). This oil company—let’s call it Operator A—has a number of producing oil fields elsewhere in the world too. It is headquartered in the United States, where all its corporate decision-making functions are based. After an extensive exploratory programme that confirms the field’s commercial viability, Operator A decides to develop the field: It will build an oil platform, with all the associated infrastructure down to the well and the pipes to transport the oil to market. The project is expected to take four years and $2.5 billion to complete. Operator A draws up detailed plans of the project and invites supplier bids to provide units or manufacture equipment or deliver various parts of the project. Each bid goes to the cheapest bidder. When work commences, there are about 200 different suppliers working with Operator A on the project at any point, delivering products and services to detailed specifications. Operator A has a team to double-check that suppliers do what they were contracted to do. Five years later and after spending $3.75 billion, the project is still not close to completion, but oil prices have halved over the same period. So what went wrong? Or more importantly, what can Operator A do to avoid similar delays and cost overruns in the future? Operator A’s situation is common not only in the UKCS, but globally too. There would have been numerous reasons for the delays and cost overruns, some of them outside of the control of operators. But given that a high proportion of the project costs relate to the supply chain, it may help to examine how a more effective supply chain collaboration approach could have helped Operator A meet the deadline and stay within budget. In general, few operators make the connection between effective supply chain collaboration and long-term cost efficiency. The main reason for this is the adversarial behaviour between operators and suppliers, and lack of trust and transparency—all of which have a long history and have become the industry norm. These problems are further perpetuated by the centralised organisational structures of large oil and gas companies, which can hinder local efficiency efforts. Operators and suppliers both believe that good collaboration is mainly based on trusting one another. But in this paper we argue that it is shared objectives and incentives, and a relentless focus on reaching the end result in the safest, simplest way that sees a project or service delivered to quality, cost, and deadline. The oil and gas sector has often experienced project delays and cost overruns. This problem affects multibillion-dollar oil and gas field developments around the world as much as it does smaller projects in the UKCS. For example, a recent review of 58 oil and gas projects between 2011 and 2016 by the Oil & Gas Authority (OGA), the industry regulator, found that fewer than 25 percent have been delivered on time and budget.1 On average, projects were delayed by 10 months and overran their budgets by 35 percent. While increasing costs were less of a problem when oil prices were rising, the fall in oil prices since mid-2014 has made reducing costs an industry imperative. Since the 2008–09 financial crisis, the industry’s operating and capital costs have escalated rapidly. For example, total operating costs in the UKCS rose nearly 50 percent, from £6.6 billion in 2009 to £9.8 billion in 2014.2 The unit operating costs grew by almost 150 percent, from $12 barrel of oil equivalent (boe) in 2009 to $29.7 boe in 2014.3 It was only the fall in oil prices that eventually put an end to this trend starting mid-2014. The low oil price environment since then has put the spotlight on inefficiencies, such as inefficient project management practices and complex and bureaucratic organisational structures. The need to reduce costs and improve margins has risen to the top of corporate agendas. Companies operating in the UKCS have made significant progress in reducing cost over the past three years. In fact, according to the Business Outlook 2017, published by the trade association Oil & Gas UK, unit operating costs have dropped from $26.30/boe in 2013 to $15.30/boe in 2016.4 Both operating and capital expenditures have declined over the same period, and, directly related to the latter, the unit development costs of newly sanctioned projects in 2016 are also less than half of those approved in 2013. It is now widely believed that the industry is settling down to a longer period of subdued oil prices. As a result, companies are likely to be thinking about more strategic, long-term cost management through structural, enterprise-wide productivity initiatives. One tool they will need to develop is more effective supply chain collaboration. Collaboration, however, is easier said than done. In early 2014, the Wood Review (hereafter referred to as "review"), an independent study, published recommendations on maximising the economic recovery (MER) of resources in the maturing UKCS and made as many as 60 references to collaboration, mostly operator-to-operator collaboration.7 The review suggested that many operators find it challenging to collaborate, which has led to a loss of opportunities in field infrastructure development in the past. It specifically highlighted the need for collaboration in areas such as the development of regional hubs, sharing of infrastructure, or reducing the delays in legal and commercial processes. The review also recommended the creation of a new oil and gas regulator, the OGA, in the UKCS. The OGA, which became an independent regulator under the Energy Act 2016, was given powers to drive better collaboration, efficiency, and productivity, while helping to improve competition, attract investment, and create jobs in the UKCS as part of the MER strategy. And while the regulator—in addition to various industry trade bodies and company leaders—continues to emphasise collaboration, there’s a lack of clarity on what exactly collaboration is and how to get better at it. Based on findings from the survey, we tried to understand what collaboration means, why it’s important—both in the UKCS and globally, and how to become better at working collaboratively. Focused on collaboration between operators and suppliers in the UKCS, Deloitte’s UKCS supply chain collaboration survey is now in its third year of running. It is jointly run with Oil & Gas UK and primarily provides feedback to the 15 operators and 10 suppliers on the Oil & Gas UK board from their respective suppliers and customers. Operators involved in the survey cover approximately 80 percent of UKCS production. The results of the survey are also used as a tool to measure company performance against Oil & Gas UK’s Industry Behaviours Charter. The charter is a voluntary commitment to work effectively, efficiently, and cooperatively and has been signed by the majority of top UKCS operators and suppliers. The Review provides data and analysis on the quality and level of collaboration in the UKCS. Respondents mainly provide information about their own companies’ attitudes and behaviours toward collaboration. The Index measures the effectiveness of companies as partners in collaboration. In this part of the survey, respondents confidentially rate their partners as collaborators. The higher the rating—which provides an individual company’s Index score—the better collaborator that company is considered by its partners. The Index scores form the league table of peers. At confidential meetings, companies are given their individual Index scores and their position on the league table, without the scores or positions of others being revealed. The individual company scores and league tables of companies remain confidential, but we publish the industry results in aggregate. What is effective supply chain collaboration? Our discussions with companies that are voted top collaborators in the Index part of our survey suggest that effective supply chain collaboration happens when oil and gas operators and suppliers work together toward a shared objective in the most efficient way, focusing on the total end-to-end value and cost of the service, product, or project being delivered, rather than the unit costs. This requires a relentless focus on what needs to be achieved, an understanding of what value each component, action, or staff member brings to the final outcome, and finding and eliminating the hidden costs. Figure 1 shows that companies in the UKCS are well aware of this, with a combined 57 percent of respondents identifying the focus on the end result and working with other organisations to achieve shared goals as hallmarks of effective collaborative behaviours. The results also show that respondents attributed more importance to these two factors in our latest results compared with a year before. Why does effective supply chain collaboration matter? Effective supply chain collaboration can lead to higher operational efficiency. Operators that are voted leaders in supply chain collaboration in the Index also have some of the lowest operating unit costs in the UKCS. While these operators worked with the same suppliers and used the same tools and technology as everyone else in the UKCS, a number of their oil field development projects have come in below budget and were completed ahead of schedule. This is not a coincidence. Our discussions with them revealed that in their relationships with their suppliers, these operators follow principles resembling those of lean production, which have been developed by the automotive industry. Overall, not collaborating effectively with suppliers can lead to missed opportunities for reducing costs or improving operational efficiency. High levels of collaboration in the UKCS, but is it of high quality? The aim of the survey is to understand what behaviours the industry associates with supply chain collaboration in the UKCS, and therefore, we did not define the word or restrict participation in the survey. As a result, it is not surprising that survey respondents interpreted the word in its broadest sense and believed that they collaborate to a high degree already: 86 percent said that collaboration was part of their day-to-day business. But it was also clear from the survey results that the majority of these relationships did not work effectively in the UKCS. Even if the results improved from the previous year, overall only 40 percent of respondents said that more than half of their relationships was successful. A larger proportion of suppliers (55 percent) said that less than half of their collaborative efforts was successful, compared with operators (44 percent). In contrast with the UK results, a considerably higher proportion of Dutch suppliers, 41 percent compared with the United Kingdom’s 32 percent (see figure 2), said that more than half of their efforts worked well. There are some cultural and regional factors behind this number. The Netherlands is a smaller country than the United Kingdom, with fewer resources and a challenging geography. The Netherlands’ oil and gas industry is significantly smaller than the United Kingdom’s, with fewer and often smaller companies. Therefore, companies need to be leaner, more flexible, use their assets effectively, and share their assets and workforce. A closer look at figure 3 explains the reason behind the relatively low success rates: Operators and suppliers collaborate for different reasons and have differing expectations of collaboration. Operators would like suppliers to reduce their prices and take on more risk. With operators holding the purse strings and, since late 2014, asking for significant price reductions, suppliers may feel exposed. Meanwhile, although suppliers would like operators to help them reduce costs, they also want to increase their market share by selling more products and services to the operators. This, in turn, may make operators feel as if suppliers would like to sell them new products and services that are not focused on their needs. While regional factors play a role in the Netherlands suppliers’ higher satisfaction score, operators’ attitudes are radically different too. The survey results show that Dutch operators primarily collaborate to fill the capability gap—that is, to optimise skills and capabilities. Reducing costs and sharing risks are not seen as the primary drivers of collaboration in the Netherlands. Most operators tend to work directly with contractors under long-term agreements, rather than large oil field services companies employing contractors. Furthermore, companies in the UKCS do not seem to make the connection between incentives and collaboration. According to figure 4, only 27 percent of respondents in the UKCS believe that trust is the main reason for—and driver of—successful supply chain collaboration. Collaboration in the UKCS is left to a small number of individuals with trusted relationships, who are proactive enough to find opportunities to collaborate and who are in a position to share the benefits. This explains why successful collaboration efforts are much less frequent than unsuccessful ones. In contrast, business processes (internal investment in managing collaboration and individual performance measures linked to collaboration) play a minor role. This suggests that despite a high proportion of companies saying that collaboration is part of their day-to-day activities, it is not yet part of their DNA. Our discussions with top collaborators in the Index suggest that for collaboration to work well, all parties need to be incentivised. Indeed, overall, incentives play a more important role than trust. These incentives can include financial, contractual, or even creative incentives. Operators and suppliers need to share benefits—one party taking a larger cut of the pie is known to create resentment and can easily damage the working relationship. Equally, the workforce involved in the project or relationship needs not only to be allowed, but encouraged, to collaborate through personal performance measures linked to collaboration. As companies in the UKCS learn how to collaborate more effectively over time, we expect the role of trust to diminish and other factors (see figure 4), such as investment in resources managing collaboration and encouraging collaboration through individual performance measures, become more important. We may also see leadership communication and business strategy playing a more prominent part in encouraging collaboration. In the United Kingdom, 27 percent of respondents thought that the main reason for successful collaboration was a trusted relationship with the other party. In the Netherlands, however, only 13 percent believed that trust played a pivotal role. While this may seem contradictory to some of our findings, it is important to note that for the Dutch, collaboration is driven mainly by business strategy and proactivity in finding the right opportunities. Collaboration is not left to trust, but is ingrained in companies’ working culture. Long-term operator–supplier relationships are the norm. Collaboration is how they do business; trust and sharing benefits are a given. Despite the rather clear benefits of supply chain collaboration, the survey indicated that a significant proportion of collaborative efforts in the UKCS can be considered unsuccessful. Discussions with both operators and suppliers revealed numerous examples of adversarial behaviours. For example, operators confirmed that they often put contracts out to tender to compare suppliers, sometimes long-term partners, against each other. The reason for this is to “test” the market, as operators often felt overcharged and associated contracts with steadily rising costs. The tendering process, it was often felt, disrupted projects and caused some damage to the relationship with existing suppliers, whose internal costs also increased by having to go through the entire process. For their part, suppliers often feel compelled to bid for contracts with low or negative margins in the hope of winning future work with the operator. This can, however, send out wrong signals to the market about the cost of certain products and services and can also encourage suppliers to inflate prices later to recoup the money lost in the early stages of the project. This leads to both sides guarding cost data, which results in a certain level of mistrust: suppliers aim to protect their margins, while operators believe that suppliers make more money than they do. Rigid, centralised internal structures do not allow easy formation of expert teams and devolution of decision-making. For example, an international oil company that is headquartered abroad relies on a local team to operate its oil platforms in the North Sea. The local team would like to work with a particular supplier to upgrade parts of the oil platform. Although the local team has identified a specialist supplier, which would be able to do the project quickly and efficiently, the local team often does not have the final say on the choice. It will have to go through layers of sign-offs from the headquarters, causing potential delays to the start of the project. In a more extreme case, the local team simply may not be able to work with its chosen supplier, but would have to use the corporate-level preferred supplier, even if the chosen supplier would provide the service quicker and cheaper. Another example is the lack of ability for the local team to use industry-standard components or equipment when upgrading parts of the platform, but having to follow strict internal standards from the company’s centre of excellence. This lack of using industry standards can lead to significant cost rises and delays in projects. Siloed organisational structures can also lead to inflexible, competing objectives. As an example, an operator’s procurement function receives the mandate to aggressively reduce costs. Procurement processes can be very effective when purchasing highly commoditised assets, tools, equipment, or services. These tenders tend to be short and focused on minimum quality and unit price. But a strong procurement drive can prove ineffective or even damaging for complex projects and services. As an extreme example, an oil rig needs a new compressor. People who understand how and where the compressor needs to fit on the operating rig, and how it will be used and maintained are the engineers working on the rig. Ideally, these engineers should speak to the vendors directly, organise site visits, and collaborate with the vendor around the sourcing, installation, and maintenance. In reality, this rarely happens. Instead, the purchase of the new equipment is organised through procurement. This means that there is limited contact between the engineers and the vendor. Procurement asks for detailed specifications and the compressor is purchased from the lowest bidder. We heard of numerous instances where the new equipment did not fit the right away or was difficult and costly to maintain. While procurement met its objective in driving down the cost of the compressor, it also led to unnecessary delays and pushed overall costs higher. Lack of internal coordination/collaboration or ineffective internal organisation can cause delays and increase prices. For example, because multiple internal departments are involved in scheduling maintenance, which often are not sufficiently coordinated, the operator fails to provide suppliers with a detailed, forward-looking maintenance plan on an oil platform. This can mean that suppliers do not have enough visibility of what needs to be done on the platform, so they may not have the right expertise or the right tools for the job when they visit the platform. They will therefore need more trips back to their base, which not only pushes costs higher, but also delays oil production at the platform, leading to loss of revenue. If, however, suppliers receive a detailed forward maintenance schedule and if they service other platforms in the area too, they should be able to schedule their work better and spend less time travelling to and from platforms and transporting spare parts, potentially reducing the costs for the individual operator. Fewer helicopter trips to the rig also mean fewer health and safety risks for the workforce. While collaboration is clearly the key to higher production efficiency and lower costs, companies should not collaborate with everyone all the time. Collaboration needs to be reserved for a set of key suppliers, either by size or because of their strategic importance, for it to be focused and purposeful. Beyond this key set of relationships, there can be a long tail of suppliers providing commoditised products and services, which can be cultivated effectively either by allocated relationship managers or the procurement function. To help companies determine how to collaborate more effectively, we provide a four-step transformation framework (see figure 5). To bring the framework to life, let us look at how Operator A—the fictitious company described at the beginning of this article—can improve its well drilling performance while developing its oil and gas field in the UKCS by applying advanced analytics. The project requires Operator A’s engineers to work closely together as one team with the suppliers. Operator A’s corporate headquarters has given permission to work with suppliers that the local team considers the most appropriate for the task. After identifying the right suppliers, Operator A’s local team can quickly move ahead with the project. A short project contract focuses on the intent of the work. The contract covers the commitment of the operator and the suppliers to work together, the objectives of the project, the ground rules for behaviours, and the quality criteria of the final project. It does not provide detailed accounts of what needs to be done, when, and how. The integrated project team is built by selecting a small number of members with relevant expertise and experience from Operator A’s various departments as well as project members from a select number of suppliers—suppliers that provide equipment or drilling services and consultants with advanced data analytics capabilities. Each team member is clear on their priorities and can see how their roles are directly contributing to the delivery of the project. Everyone on the team is expected to work autonomously, take responsibility for their actions, and make timely and effective decisions. Members are allocated to this team from across Operator A and they are fully focused on the project, rather than work on it over and above their daily workload in another department. The team leader communicates the objectives and long-term perspectives on the project early and consistently, and there is clarity on the timelines, tools, and resources available. The leader’s role is to motivate, set the direction of travel, facilitate problem-solving, and protect and motivate the team. The project starts with redefining and establishing a single drilling process that will be delivered by the various parts of the operator’s and the suppliers’ businesses—together, in an integrated way. The operator and the suppliers will need to adapt and unify the relevant parts of their IT systems to support the new single drilling process to gain real-time data. This single process already results in some efficiency savings for Operator A. But the majority of cost savings are delivered when advanced analytics techniques are applied to real-time data. This yields insights that Operator A and supplier crew members can execute as soon as they receive them. Thanks to the unified IT systems, the project team sees the impact of the crew members’ actions on the rig in real time and is able to analyse the data immediately to provide further guidance to the crew. This constant cycle of analysis and feeding insights by the integrated team back to the operator and supplier crews drives substantial efficiency savings and lifts the productive uptime of the drilling assets. In addition, there is a constant focus on learning, and on how to improve results and make the project more efficient and effective. The atmosphere in the project room is not only of urgency to resolve issues, progress the project, and find solutions, but also of openness, and respect for and trust in other team members. Documentation is kept to the minimum. Instead of regular progress reports on all activities, there is a basic action register and exception reporting (concerns and issues). Phone calls and face-to-face meetings are focused on solving issues. Because the team is integrated, there is no need for the operator to monitor whether the suppliers are on track in project delivery. Significant cost savings over the lifetime of a project: This should materialise through the removal of layers of unnecessary bureaucracy, simplification of procedures and processes, and the use of standardised equipment and material where possible. Improved investment returns: For example, by avoiding delays and budgetary overruns when building an oil platform, the operator would be able to start production on time. Stronger and longer-term relationships with a select number of suppliers: Working with tried-and-tested suppliers with a similar working culture should reduce costly and time-consuming tendering, which can be disruptive and expensive for both operators and suppliers. More innovation: The creative challenge of finding simple, cost-effective solutions will inevitably lead to new ideas. Openness: Focus on how well parties communicate, whether they are willing to collaborate, and whether they trust each other. Incentives: Do parties feel financially incentivised; do they feel that collaboration is encouraged by the terms of the contract and that collaborating with the other party enhances their reputation? Business processes: Determine whether the parties engage early in a project, whether they seek out new ideas, and whether they implement recommendations effectively. While the Index by no means provides a definitive list of criteria that operators and suppliers need to consider, it can help identify areas that the parties may want to investigate further to help them improve their relationships. Change in league table positions in successive years can also be indicative of actions impacting the relationship. Collaboration could play a big role in changing the way companies operate in the UKCS. However, for that to happen, a change in cultural attitudes is needed. Many relationships in the oil and gas sector are still adversarial and power-based. Further, it is easier for a leaner, more agile company to make such broad changes in its operating style. The more inflexible a company is, the longer it will take to break down organisational siloes and effect behaviour changes. The first step, however, should involve determining if collaboration works for you. It should not be touted as a one-stop solution to every problem facing players in the UKCS. Instead, companies need to understand that it works best when concentrated on a small set of suppliers, who are adaptable, flexible, and open to collaboration. The important thing is to start—start small, one project or supplier at a time. In the current lower-for-longer scenario, the industry needs to seize every cost-reduction opportunity that comes its way. 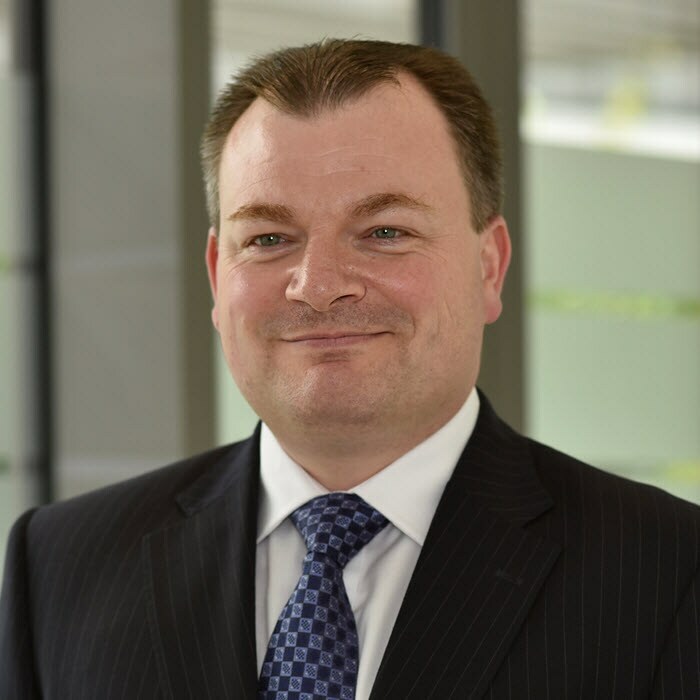 Nick Clark is a director in Deloitte’s Strategy and Operations Consulting practice, and is based in London, United Kingdom. 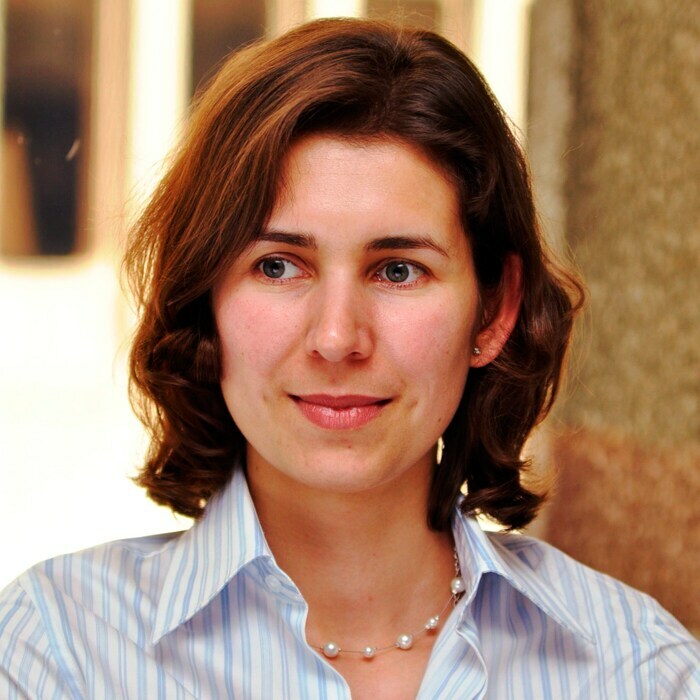 Netti Farkas-Mills is the UK Energy & Resources insight lead, and is based in London, United Kingdom. A sea of possibilities has been added to your bookmarks. A sea of possibilities has been removed from your bookmarks.